For more than 25 years NordiTube has been offering cost-efficient and technologically superior solutions for the renewal of decaying water or gas pipelines. Besides local authorities, electricity generators all over the world are now exploiting the advantages of trenchless pipe rehabilitation. NordiTube is expanding the range of applications for its cured-in-place pipe lining method to include the rehabilitation of cooling water pipes in power plants. NordiTube combines skilled experts for pipe technologies and many years of experience. These maintain and renew the underground infrastructure of many local authorities and facilities worldwide through the rehabilitation of pressure conduits and sewers. The technologies are now proving themselves in another market: the rehabilitation of cooling water pipes in power plants. In a sensitive environment such as power plants of different types, the rehabilitation of pressure pipes and ducts are subject to strict quality controls. In Europe the CIPP method with the NORDIPIPE™ and TUBETEX™ pipe liners already satisfies the strict criteria for the rehabilitation of sensitive infrastructure e.g. for drinking water mains or now cooling water pipes in power plants. With certain precautionary and preparatory measures, the method of installation of the pipe liner impregnated with special resins in the old pipe and thermal curing to form a new pipe is identical to the rehabilitation of subterraneous infrastructure in the public sphere. 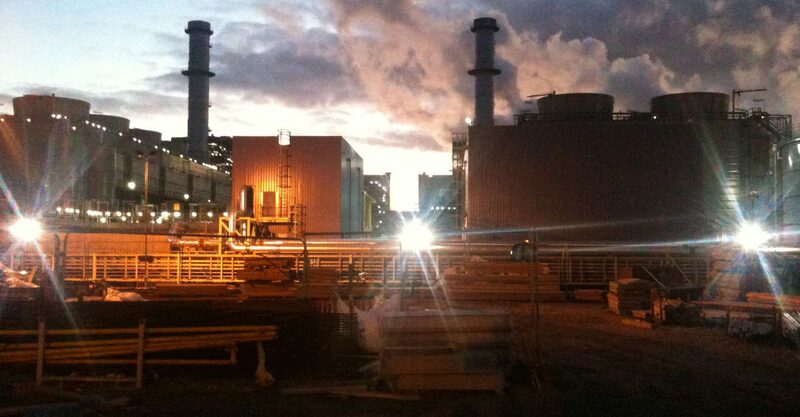 One of the first CIPP rehabilitation projects in power plants took place at West Burton in Nottinghamshire, Great Britain, in January 2012. The plant is operated by one of the UK’s largest energy company and supplies with its coal-fired and combined cycle gas turbine power station 1.5 million households of the region with electricity. To guarantee proper cooling of the three 430 MW gas turbines and protect the cooling water pipe against corrosion and encrustation for decades, the energy company entrusted the pipe lining to an Italian construction company. While the sensitive surrounding allowed only a trenchless construction, the given tight time frame and the main challenge the various 90° elbows of the bonna cooling pipe proved the TUBETEX™ liner of NordiTube to be the technological solution. The team of experts started the cleaning of the 6 supply- and discharge pipes with a diameter of 500 mm in unit 1, 2 and 3 with special pigging technology and installed the 6 TUBETEX™ liner with a reversion drum. The round woven, seamless TUBETEX™ liner made of high-strength polyester yarn was inserted into each supply pipe of the three units to a length of 157 m and into each discharge pipe to a length of 113 m and shaped by steam curing to a robust pipe with total length of 710 m. The flexible basic structure of the fabric tube accommodates all contortions and especially the 90° elbows of the old pipe. Finally the seven bends of the supply lines, five bends and two connections of the discharge pipes were provided with the special AMEX sealing before the pipe was put in operation just in time. Although the liner is firmly bonded to the old pipe with a flexible epoxy resin and increases stability, it remains sufficiently elastic to compensate for movements and absorb impact on the pipes. All in all, the West Burton project was considered a resounding success by all those involved, particularly the client. With its coverage and smooth internal surface, corrosion and encrustration of the bonna pipe will be a thing of the past for at least the next 50 years.